Christopher Cave, M.D. is a board-certified Family Medicine physician, and has been with White-Wilson Medical Center since 2012. Dr. Cave has been practicing in the Navarre community since 2002. Prior to moving to the Emerald Coast, Dr. Cave received his medical doctor degree from University of South Alabama in Mobile, AL. Upon graduating Dr. Cave went on to complete his internship and residency at University of South Alabama. Dr. Cave specializes in Family Medicine for all ages, Bariatric Medicine, Cosmetic Medicine, wellness exams, physicals, preventive care and urgent care illnesses. 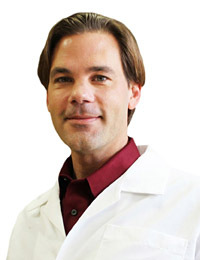 Dr. Cave enjoys living along the Emerald Coast, and boating with his wife and five children.